The Qur’an is full of wonderful stories that revolve around fatherhood. It is probably one of the most overlooked thematic messages in the Qur’an. Repeatedly, Allah bears witness to prophets who are recognized as great fathers. Chapter four of the Qur’an (an-Nisaa) tells us how humanity sprung forth from the first prophet and father, Adam, and the womb of our mother, Hawwa (Eve). Prophet Nuh (Noah) pleaded with his son to believe in the oneness of God before calamity hit. Prophet Lut (Lot) valiantly protected his children from the surrounding lewdness and temptation in his community. Prophet Yaqub (Jacob) dealt with the heartbreaking abduction of his young son, Yusuf (Joseph) by his older brothers. Then there was the epic du’a of the father of the Abrahamaic faiths, Ibrahim (AS),as he took upon the task of building the Ka’abah with his wonderful son, Ismail. By way that Allah had commanded the dynamic father and son duo to build the Ka’abah is testament to how important the role of the father is in Islam. After all, Allah (SWT) could have commanded Ibrahim to build the House of Allah on his own, but he had a little helper, an assistant, and the final prophet, Muhammad, came from the direct lineage of Ismail. Prophet Muhammad himself was the ultimate family man of all times. Prophet Muhammad (peace be upon him) sternly advised his followers:”The best of you is he who is best to his family and I am the best among you to my family” (Tirmidhi). By saying this, he reminded the ummah (Muslim community) to emulate his behavior when dealing with their own families. The cornerstone of a strong Muslim ummah lies within the family unit. Many problems that arise today is really due to the disrupted relationship between spouses, between parent and child, and even between siblings. In addition, this could be very well a function of poor leadership by the father, although there are always other factors involved. If all, or a majority of family units were held on sturdy grounds, then members of the same would have better outward relations with others, whether they are neighbors, co-workers, classmates, and other families in the community in general. So, it is no wonder that the Prophet (PBUH) took time to remind us of the importance of leadership within a family. Prophet Muhammad (peace be upon him) embodied the importance of a strong family unit in his own family life. He loved his first wife Khadijah so much that even years after her passing he kept good relations with her family. The Prophet’s young wife Aisha felt the devotion he had toward Khadijah even though she passed away years before her own marriage to prophet Muhammad. The Prophet was, of course, good with Aisha too. He raced with her and took her on excursions. He taught her the Qur’an and his sunnah (his teachings and practices); especially those matters relating to women and intimacy. His young wife made sure to carefully record those teachings. The Prophet spent a lot of time with Aisha. He accompanied her when she wanted to spend a laid-back afternoon watching sports. He was good to his other wives as well. Many of the Prophet’s sayings mention their contributions to society. This could only surface through a husband who recognized them as iconic women of their time. Umar ibn Khattab was shocked to see how the Prophet’s wives would speak back to their husband. They would rush to hide when Umar entered the Prophet’s household telling him – from behind a veil –that he was stern and harsh while Prophet Muhammad was kind and understanding toward them. 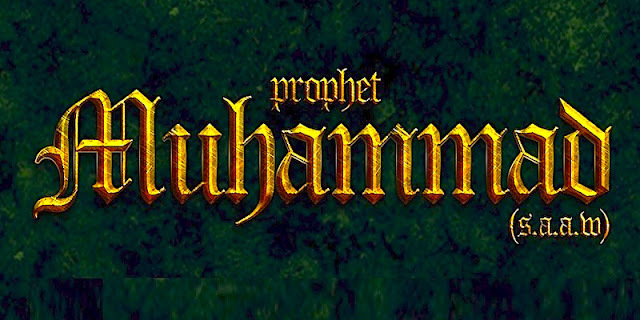 While the Prophet carried out his mission of Islam, he never shirked his duties as a household member – often tidying up and mending torn clothes. While many men nowadays would struggle with one wife, Prophet Muhammad kept good relations with all of his wives. There was, sometimes, enmity between them (as human as they were). But he would deal with the problems justly and without causing harm. He never once raised a hand towards them even when relationships in his household were strained. The Prophet raised four daughters in a culture where baby girls were considered cursed. He educated them and married them to pious Muslim husbands. The Prophet still rushed to his daughter Fatimah’s house when he missed her even after she became a mother to many children herself. He was known for letting her boys ride on his back during congregational prayer. The companions of the Prophet often commented that his daughter Fatimah was the person who resembled him most in appearance and behavior. When Fatimah entered a room where the Prophet was, he would rise, kiss her and lead her to his seat. She would do the same when he stopped by to see her. Fatimah was so attached to her father that she was happy to hear from the Prophet that she would be the first of his family to follow him in death. Arguably, there is no stronger bond between father and daughter than the relationship of these two remarkable people. Among the many adversities faced by the Prophet, he also lost children; two sons in Makkah and one in Madinah. The Prophet naturally wept at their deaths. His archenemy and uncle, Abu Lahab, on the other hand, celebrated their deaths. Allah sent the Prophet a special gift in Chapter 108 (al-Kawthar) of the Qur’an, promising eternal happiness to calm the heavy heart of the bereaved father. In his farewell sermon to believers, the Prophet reminded men to be gentle with their wives. He also told them that wives and husbands both had rights and responsibilities towards each other. “O People, it is true that you have certain rights with regard to your women, but they also have rights over you. Remember that you have taken them as your wives only under Allah’s trust and with His permission. If they abide by your right then to them belongs the right to be fed and clothed in kindness. Do treat your women well and be kind to them for they are your partners and committed helpers. And it is your right that they do not make friends with any one of whom you do not approve, as well as never to be unchaste.” The Prophet was sent to perfect a faith that supported (among other things) women’s rights: elevating their status in society, honoring them as mothers, and garnering their values, knowledge and expertise to enrich the development of a thriving ummah. The Qur’an is full of messages about fatherhood and good leadership within a family. The Prophet Muhammad (peace be upon him) demonstrated through his own behavior –in outstanding leaps and bounds –how to be the perfect family man.